Done back in my junior year of high school. 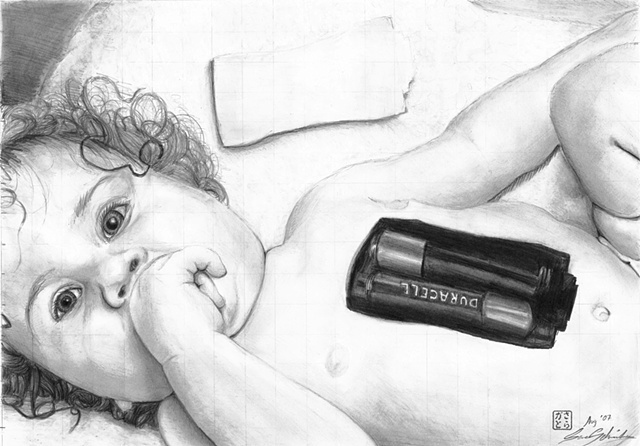 A realistic, black and white image of a baby with its stomach "open" to reveal Duracell batteries. Referenced from royalty-free stock. This image has gained some controversial attention over the years because it's interpreted as saying technology is better than life, but it's only quirky humor. I'm not that deep.